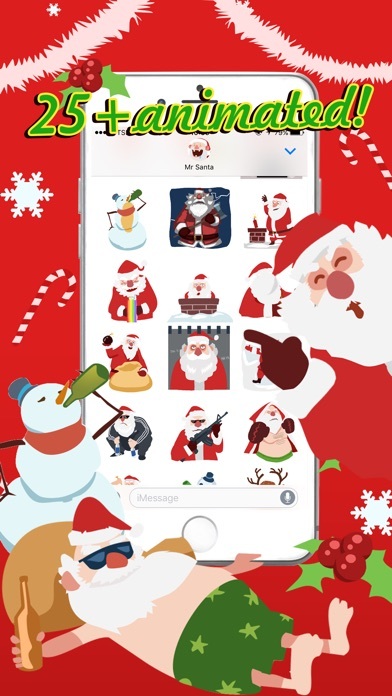 Are you’re tired of the “normal” Santa Claus stickers and you want something no-one else has? Something shocking! Something fun! Something outrageous? 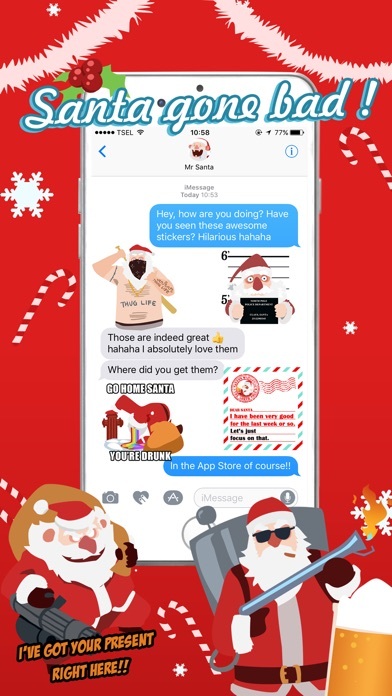 Then you gotta download SHOCKING SANTA! 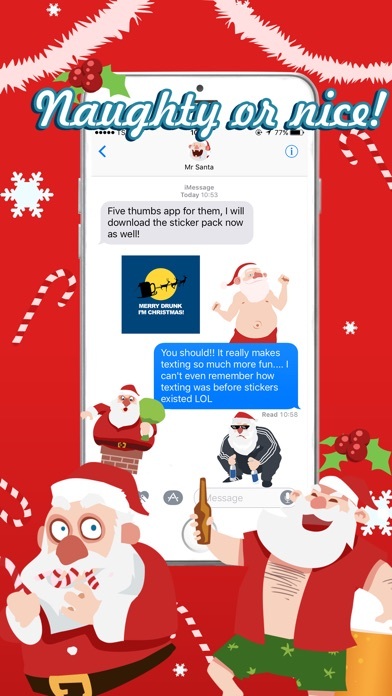 To celebrate christmas we have put together the most fantastic X-MAS sticker pack you'll ever see. 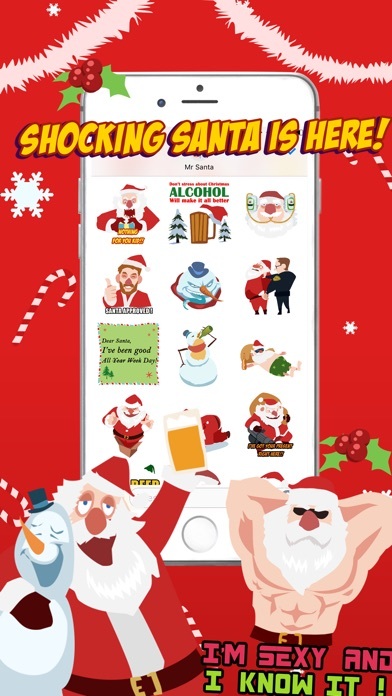 More than 100 stickers with Santa and his friends celebrating, partying and simply put GOING CRAZY! Shocking Santa has got something for everyone, big or small, naughty or nice. 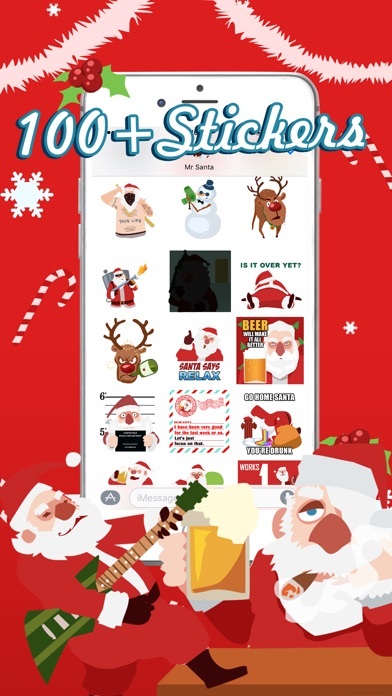 Download it now and wish all your family and friends a Merry Christmas!